Welcome to the Spirits Burning & Bridget Wishart "Bloodlines" website. Spirits Burning is a musical collective overseen by American composer/producer Don Falcone. To date, the band has released eight CDs which feature a dazzling array of musicians from the jazz/progressive rock and space rock fields. 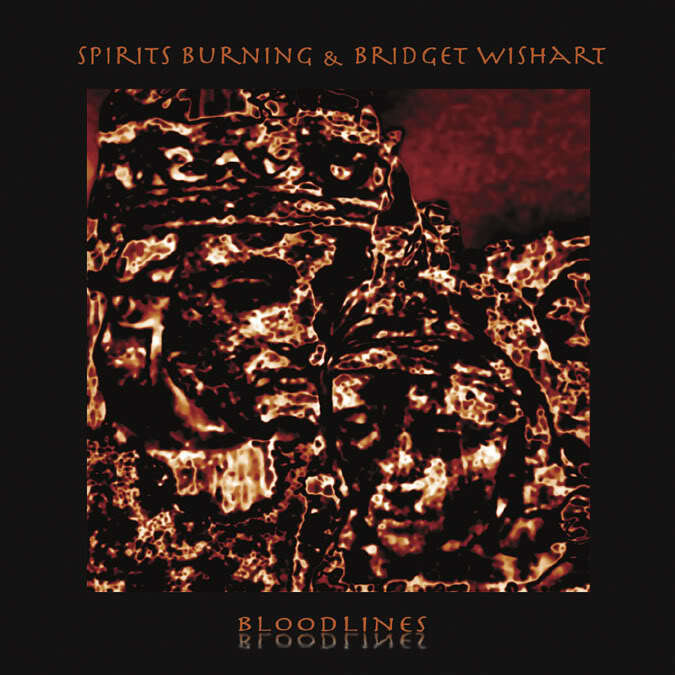 "Bloodlines" is the latest offering from Spirits Burning in collaboration with Bridget Wishart and is the follow-up to their previous musical alliance "Earth Born" CD. An historical jaunt by a cosmically festive crew presented by Bridget Wishart (Hawkwind) & Don Falcone, with Daevid Allen (Gong), Nic Potter (Van Der Graaf Generator), Hawkwind family members Harvey Bainbridge, Alan Davey (Gunslinger), Simon House (Bowie), and Steve Swindells (DanMingo), plus Banco de Gaia, Gitta Mackay (Silver Convention), Karl E. H. Seigfried (Thunor), and more.